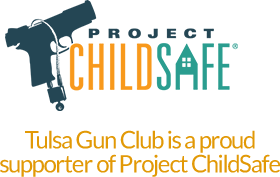 Tulsa Gun Club is always looking for new members! Although we are open to the public and no membership is required, membership does have it’s benefits! Members receive discounted rates on all activities at the club. Membership is open to any individual who is a citizen of the United States and has no criminal record or prior felony convictions. A single membership covers your spouse and dependents. As a member you are welcome to bring one guest each time you visit the club. There are several options for memberships at the club. Members joining or renewing will be required to complete 12 hours of time and talent at the club. Our club manager will track completed hours. Upcoming projects are posted at the club. Any hours not completed at the end of the year will be charged $5.42 per hour, in addition to membership at renewal. A special membership for hunters looking to polish up their wing-shooting over the off season. A great deal if you plan on shooting a good bit. The Membership application can be downloaded here. Please fill out the application and either mail it, along with your membership payment to Tulsa Gun Club 8888 E. Mohawk Blvd Tulsa OK. 74117 or bring it by the club during normal hours.